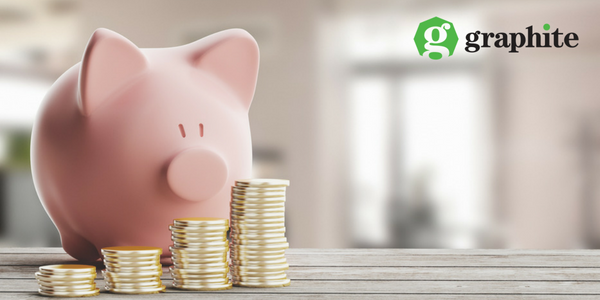 In February this year, the government announced plans to introduce an automatic enrolment system to boost pension savings as part of a major reform to state public and private pension systems. The ‘Roadmap to Pensions Reform 2018-2020’ proposes automatic enrolment into a retirement scheme for employees who do not have a private pension however, employees can ‘opt-out’ of the scheme if they so wish. An Taoiseach Leo Varadkar said that the government wants to “create a fairer and simpler contributory pension system where a person’s pension outcome reflects their social insurance contributions, and in parallel, create a new and necessary culture of personal retirement saving in Ireland”. There have been large increases in the number of people saving for retirement in countries such as the United Kingdom and New Zealand who have introduced an automatic enrolment system. The government wants to bring this into Ireland to (a) improve the financial position of future generations of retirees, and (b) support individuals as they save for their retirement. Currently, there are around 900,000 people who have no work pension. The new scheme would apply to 410,000 workers. These workers will be left with the state pension only if action is not taken. At present, the state pension is about €12,000 per annum which is around a third of the average wage. The proposals set out that employers will have to enrol employees automatically and facilitate the transfer of contributions to the scheme. However, employers won’t have to select the pension provider for the employee. Employees will be required to select the scheme(s) which they wish to contribute to from a range of providers. If employees don’t select a scheme the system will select one on their behalf. Employers will be obliged to match the employees’ contributions up to an eventual maximum of 6% initially limited to 1% of the employees’ earnings, increasing at 1% a year to a maximum of 6% from year 6. The employer contributions will as in the case at present, continue to be deductible for corporation tax purposes. Employees aged between 23 and 60, who earn more than €20,000 a year and are not already contributing to a workplace pension, will be automatically enrolled. Self-employed people or those outside the age or earnings thresholds will be able to ‘opt-in’ to the system if they so wish. Employers will not be able to ‘opt-out’ of their obligations to enrol eligible employees under the system. Employees, however, will have the option to ‘opt-out’ of the system at the end of a minimum membership period (during months seven and eight of membership). Employees can’t ‘opt-out’ after this period, but they may be able to suspend or temporarily stop their payment of contributions. This will be decided at a later stage. The Automatic Enrolment system will not impact on employees who already have pension arrangements in place which meets or exceeds, any minimum standards required by the system. The ‘Roadmap to Pensions Reform 2018-2020’ proposes significant changes for Pension arrangements in Ireland however, many feel that this must happen in order to introduce a sustainable retirement planning system for the future.